I didn’t come around to actually liking oysters until earlier this year on a trip to Charleston, SC. 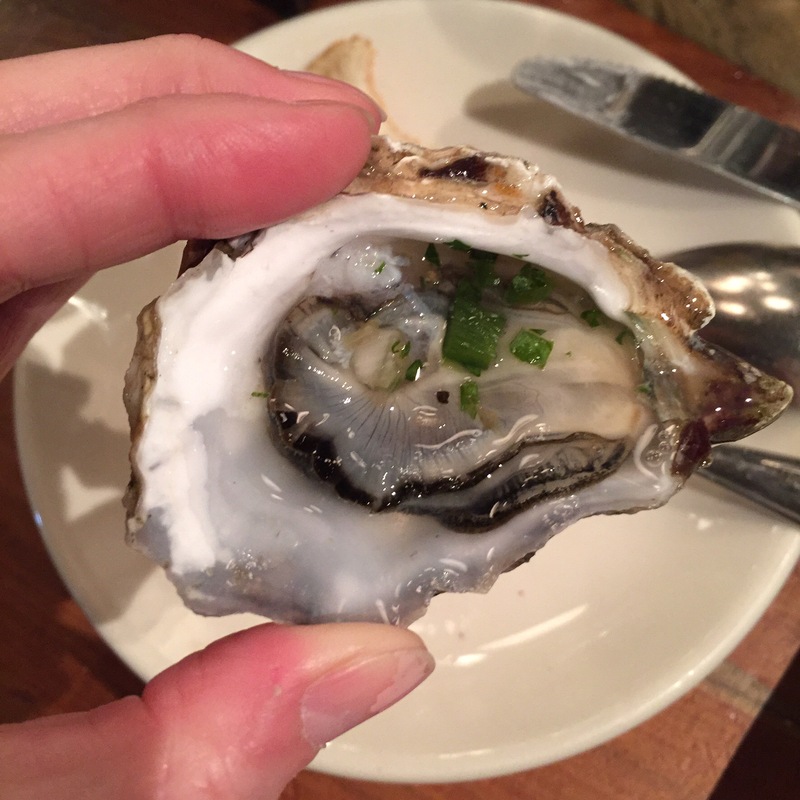 In the atmosphere of open-air restaurants, a warm breeze, and the vacation – anything-goes spirit, I decided oysters were a food I NEEDED to try. They were better than I thought they’d be. I knew oysters would then be something that would become part of my future dining. I’d gone a long time without oysters, I have a lot to make up for. 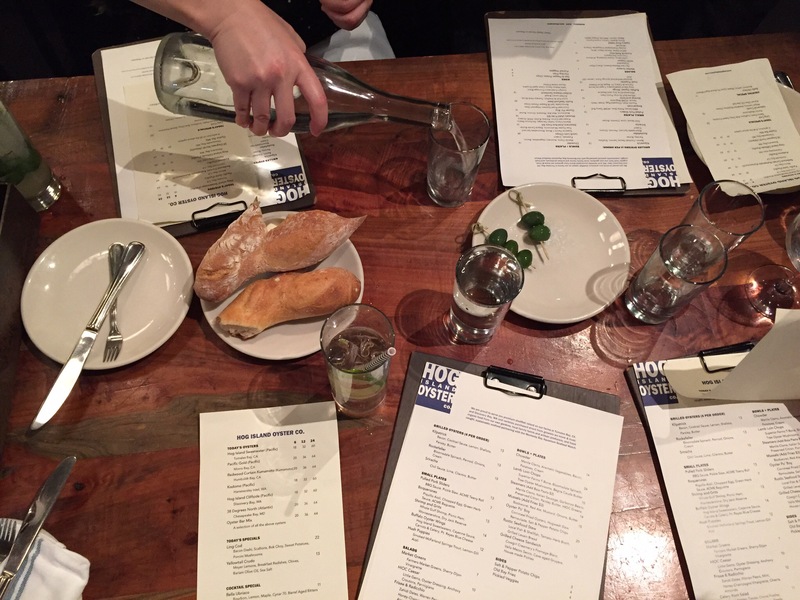 So when I had a craving to try them a little closer to home, I gathered a few friends together – oyster-eating always seems like a group activity, and headed out to the Hog Island Oyster Co in the Ferry Building in San Francisco. 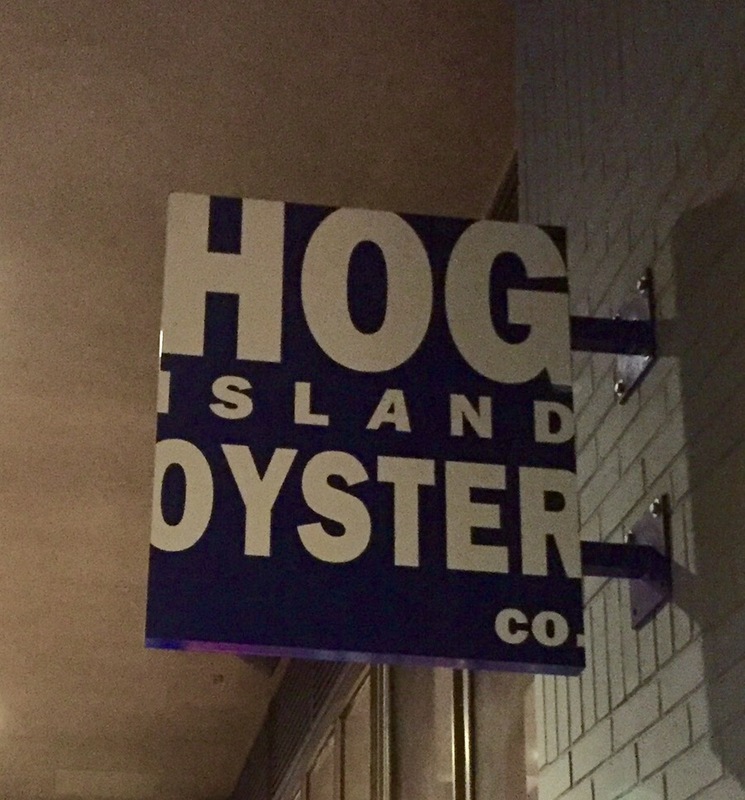 Hog Island doesn’t take reservations, so sometimes there is a line outside where people wait for the next empty table. We only had to wait a short time, but we’d gotten a round of drinks, so it made the wait a bit more bearable. We were then seated at our table, and began to peruse the menu. Being an oyster newbie, I definitely needed the assistance the server provided. The oyster and other seafood options made it hard to choose! 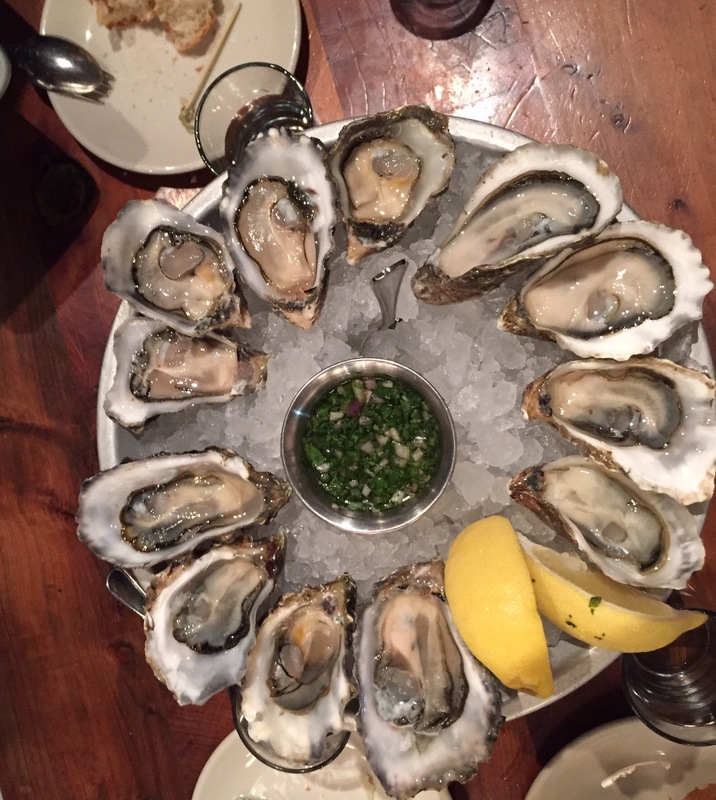 Since none of us were experts on oysters, and all of the choices were fresh from their farm north of San Francisco, in Marin County, we ordered a mixed selection oysters, so we could each try a few different kinds. Some were saltier than others, some smoother or more buttery. But each was delicious. 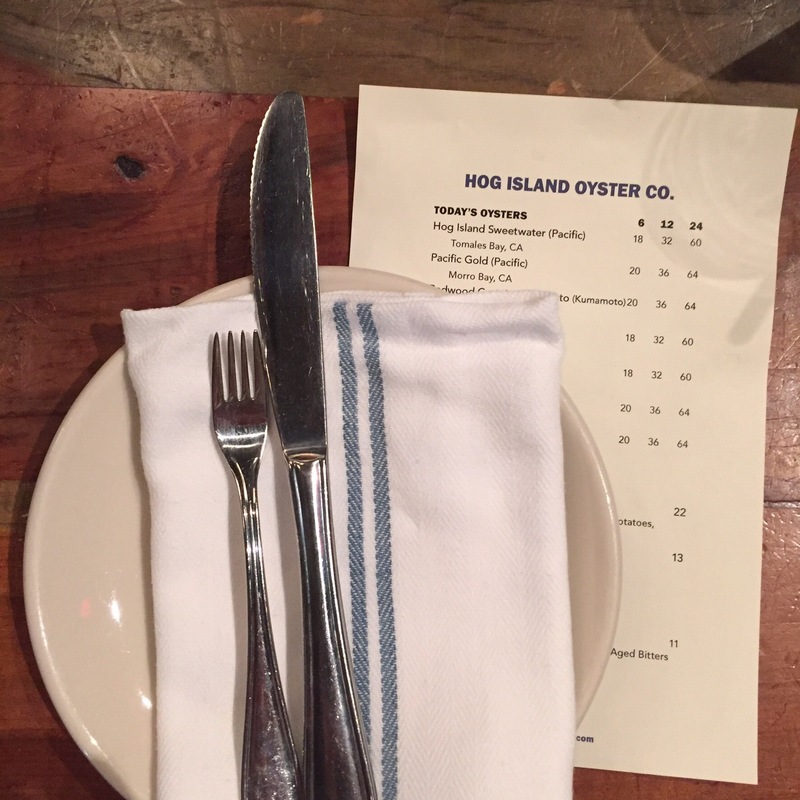 They sauce they serve with the oysters – called Hog Wash – is the perfect addition. It is a mixture of shallots, jalapeños, cilantro, and rice vinegar. You can find the recipe here. I also ordered the clam chowder. 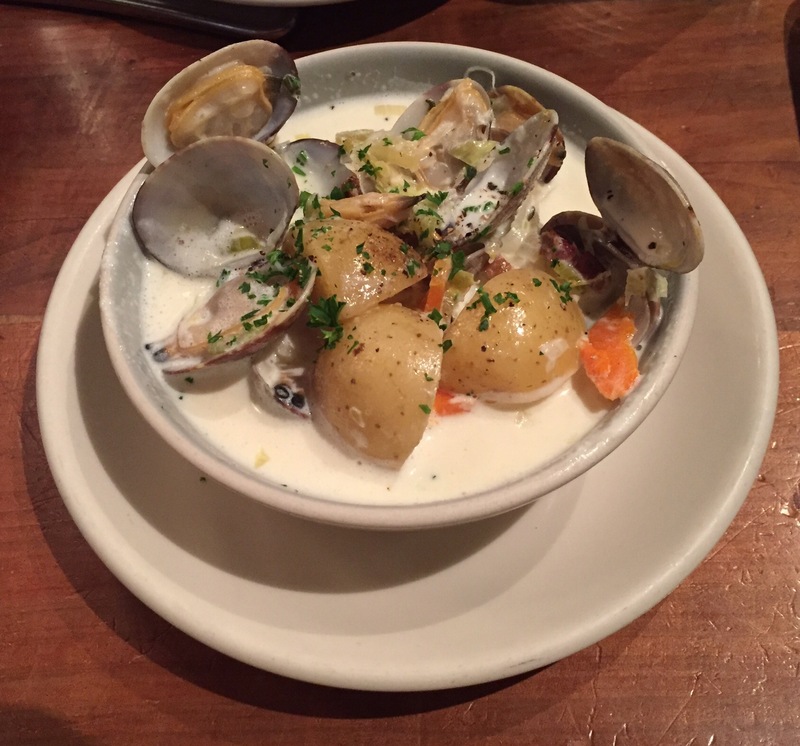 I love clam chowder, and there are many places in the area to get good clam chowder, but this was like no other clam chowder I’ve had before. The clams were still in the shells. It was so fresh and delicious. It was also not as thick as other chowders, but just as good, if not better. After we devoured our oysters and other delicacies we left the oyster house knowing we’d all return. When leaving San Francisco’s Ferry Building heading down market, you get a wonderful view of downtown. 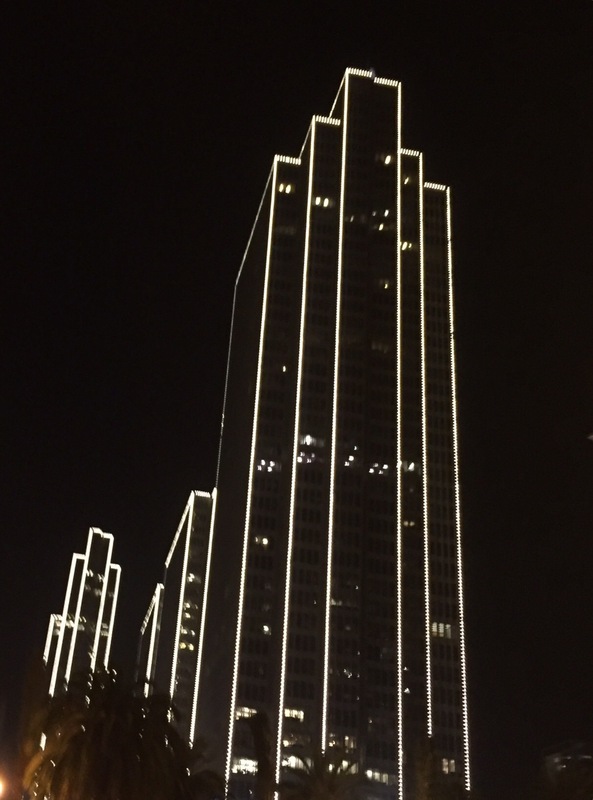 This being December the lights of the Embarcadero buildings were all light up as. These are some of my favorites in the city.